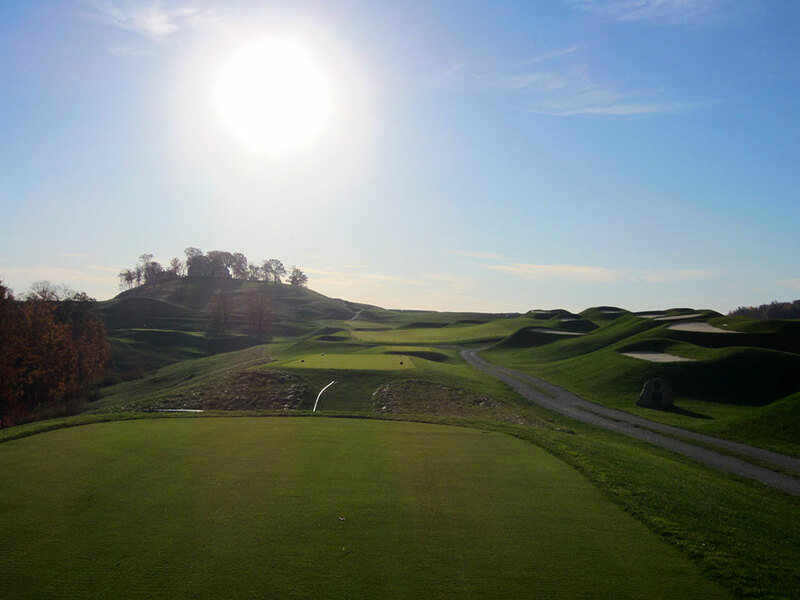 Course Website: Official Website - Visit French Lick Resort (Dye)'s official website by clicking on the link provided. 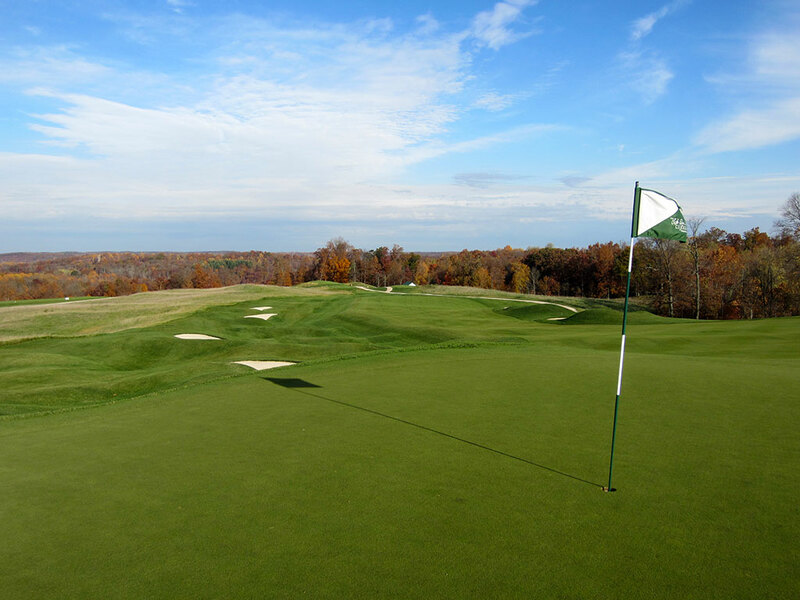 Accolades: Ranked 5th in Indiana on Golf Course Gurus' Best in State list. 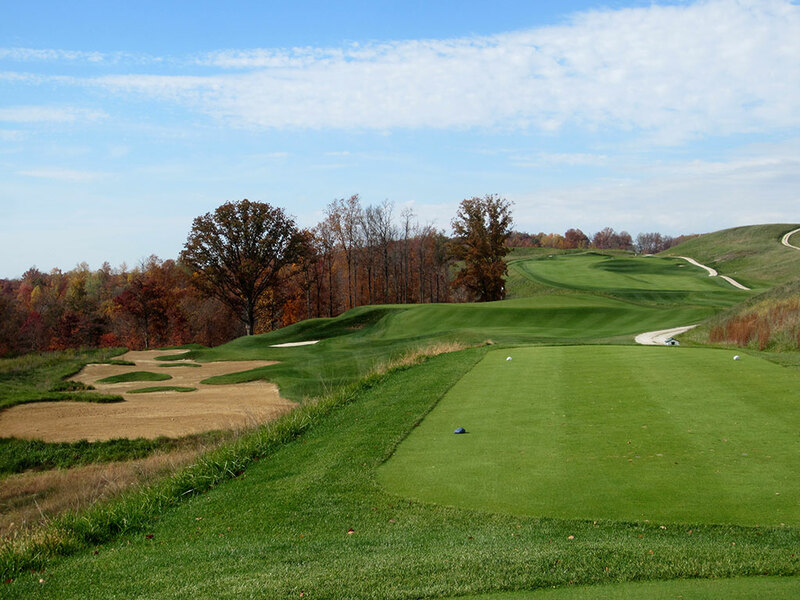 What to Expect: It seems that the longer Pete Dye is around the more creative and more extreme his designs get with his work at French Lick Resort being a testimony to that fact. The first extreme you’ll notice is the sheer length; 8102 yards from the tips in an area that sits at less than 900 feet above sea level. The first creative feature you’ll notice are the volcano bunkers lining the right side of the 2nd hole which act more as a novelty than they do a strategic hazard. 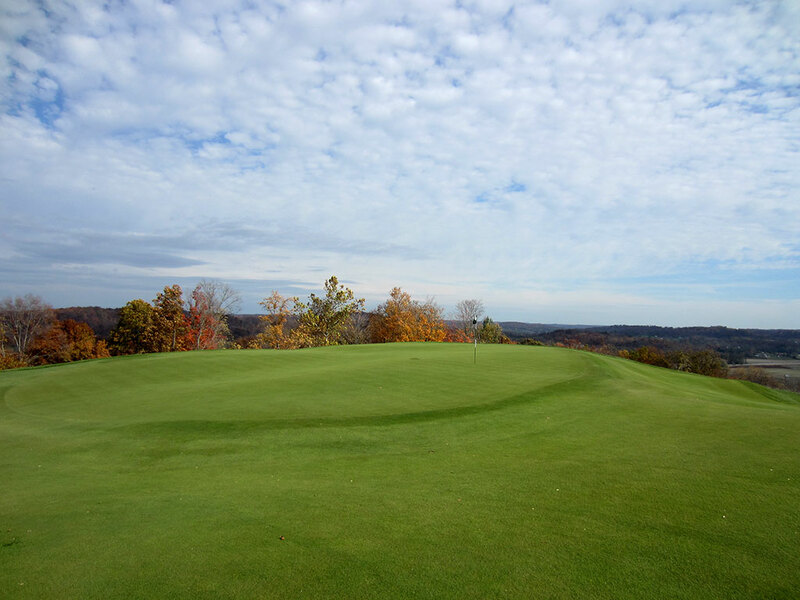 But the thing you will remember most at this Dye course set atop Mount Airie are the stunning miles of views across Hoosier National Forest and the surrounding area. The panoramic views throughout the round never get old and Pete took special consideration to clear trees in order to open up various vistas. The fairways are rather tight and the bunkering more than extensive, but the rough is tame which can be helpful when attacking the mid-smallish sized greens. The conditioning is superb, especially for a public course, which is partly due to the course receiving much fewer courses than your hometown muni. 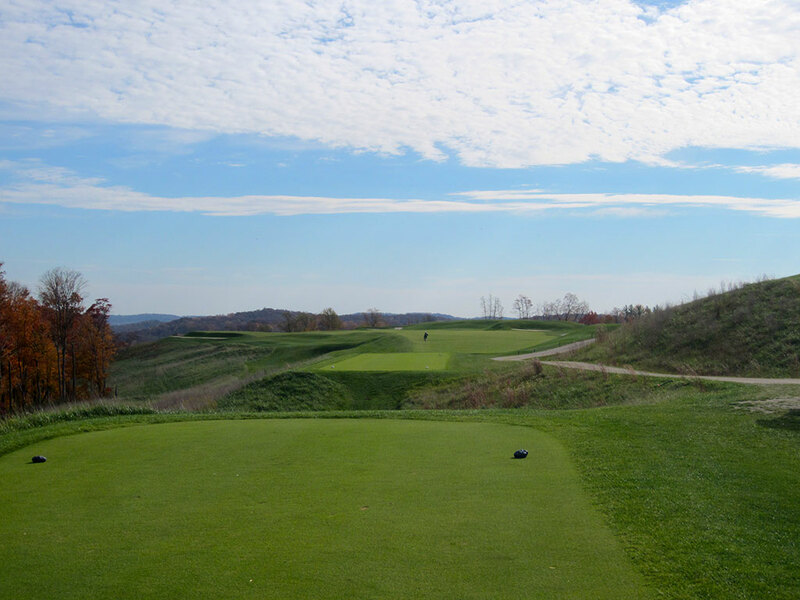 There are two major egos to take into account when playing at French Lick; Pete Dye’s and yours. 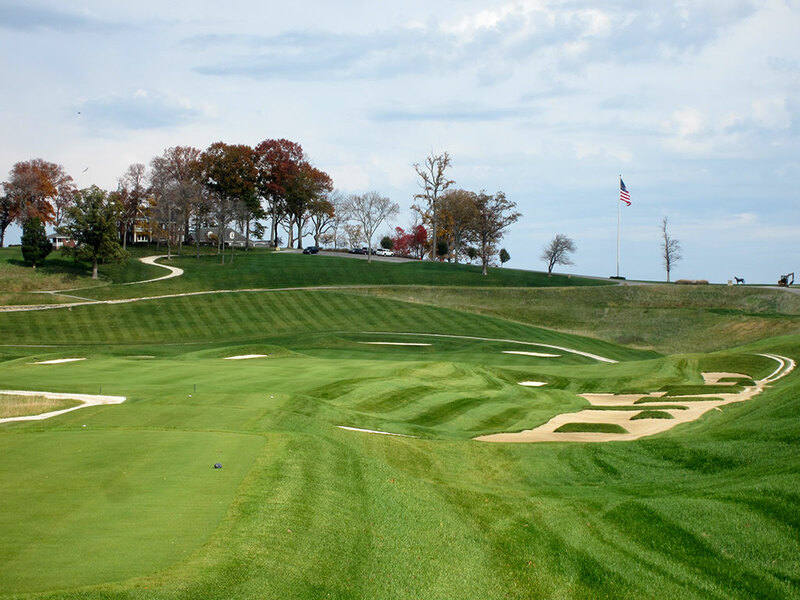 Pete Dye prides himself on designing courses that protect par against the best players in the world and his design at French Lick is his 21st century attempt to test golfers well into the 22nd century. So when you go to tee it up at this devilish and intense layout, check your ego at the door because Pete isn’t going to. Signature Hole: 18th Hole – 657/626 Yard Par 5 – Normally I only list the yardage from the tips, but with yardages that even the pros didn't play during the 2010 Professional National Championship. Despite the lengthy yardage, this hole is actually reachable in two due to the hole playing downhill off the tee and then taking a huge swing left which can be shortened by cutting the corner on your approach. Church pew bunkers are found up the right side of the driving area and a steady climb uphill is required to reach the green. 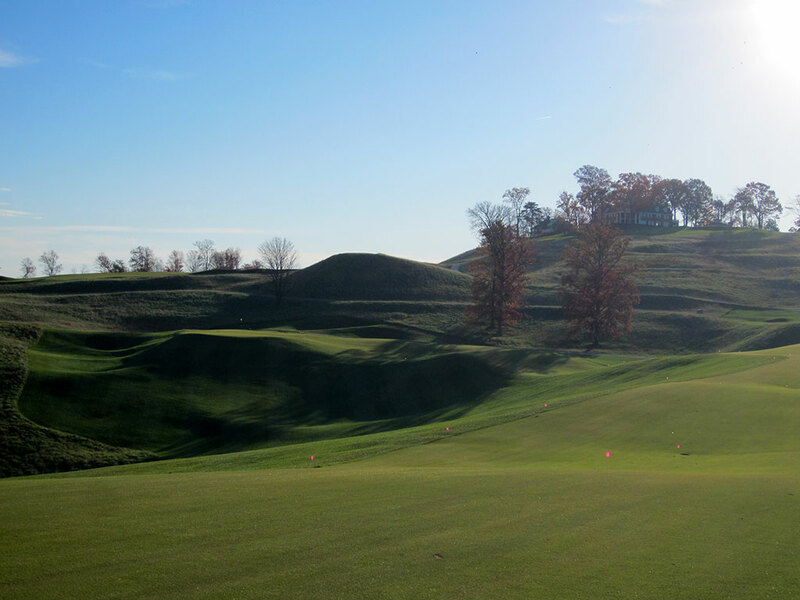 The hill is steep enough greenside that if you come up short on cutting the corner, your ball will likely tumble down for quite some time. 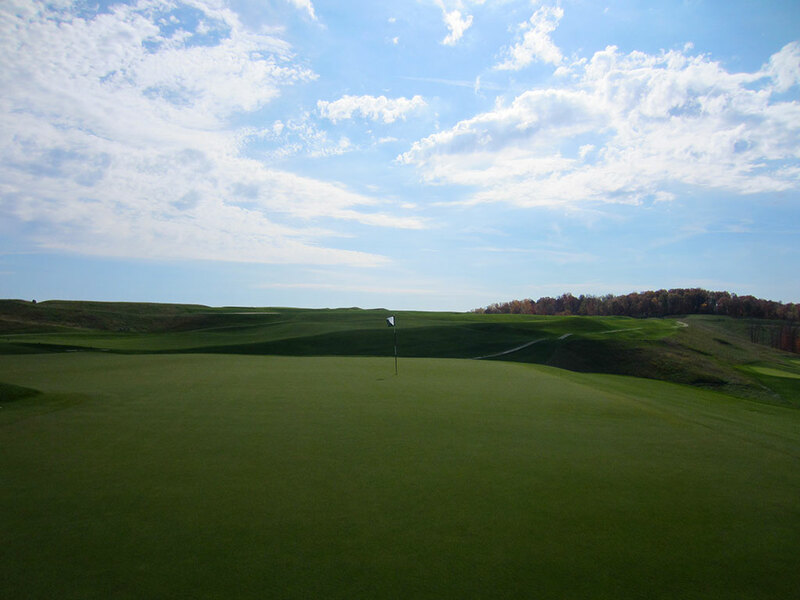 It is a dramatic hole with great options and my personal favorite hole on the course. 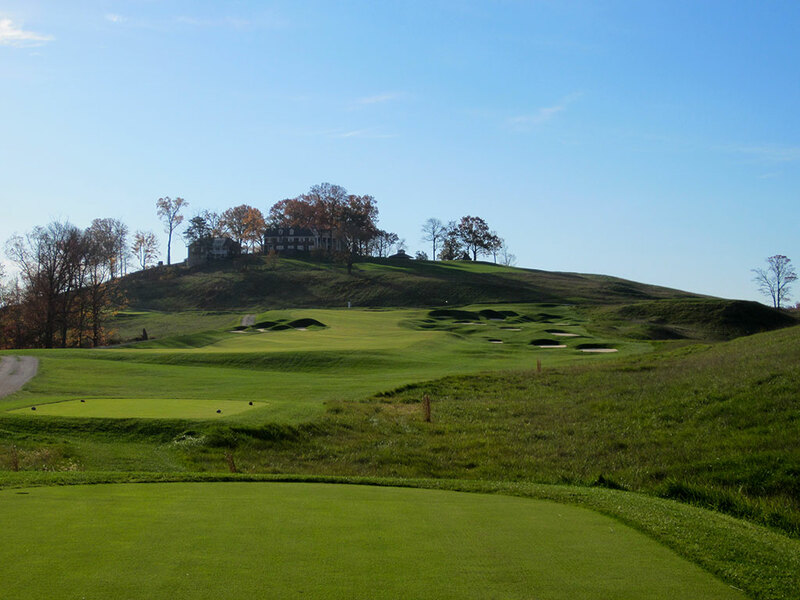 Best Par 3: 13th Hole – 208/181 Yards – This Redan style par three is a throwback to the classic design that continues to be effective everywhere I see it. 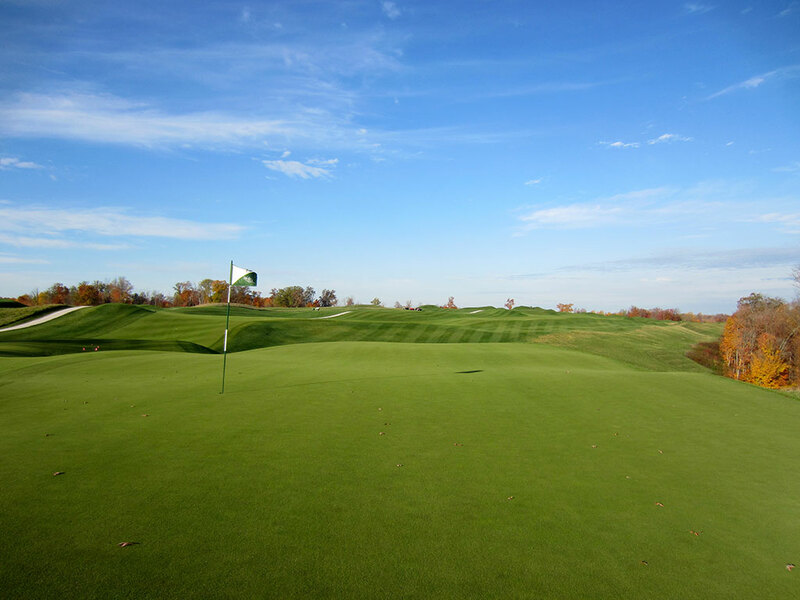 With the ability the chase a low ball up the right side and let the contours work it back into the green or to just fly it to the center, the design of this green delivers options for a variety of shots. 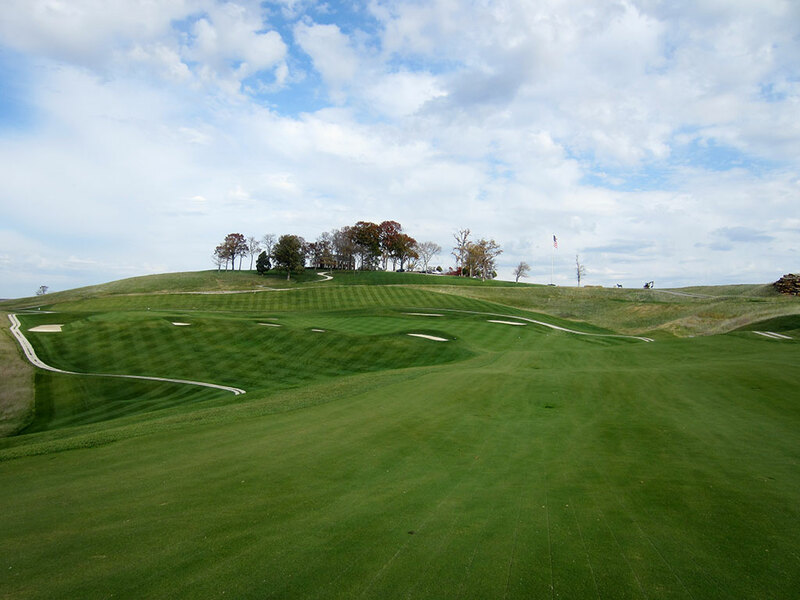 This hole marks the furthest point away from the course before climbing the hilly terrain back towards the clubhouse. Best Par 4: 12th Hole – 529/430 Yards – With hills creeping in from the sides off the tee, the driving zone looks much tighter than it really is. Beautiful vistas are offered again from this hole and presented more Kodak moments. The infinity edge green creates another impressive and intimidating visual coupled with the steep hillside and bunker found left of the green. This is one of the most fun and visually impressive holes on the course. 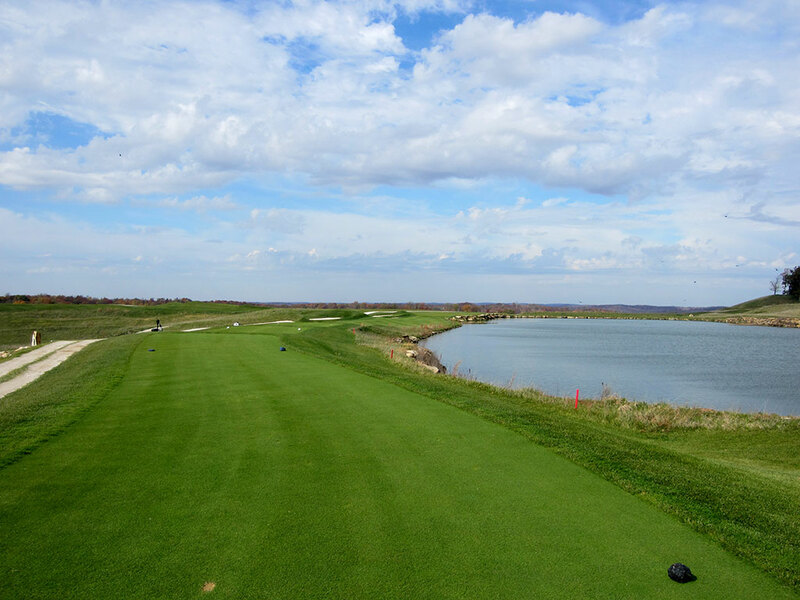 Best Par 5: 3rd Hole – 641/610 Yards – This larger than life par five is memorable and challenging from tee to green. You'd expect a wide fairway on a hole of this length, but Mr. Dye pinches it down will bunkers up the right side and a steep hill on the left. The fairway wraps around to the left and plays slightly downhill on the approach shot. The fairway widens up near the green and leaves plenty of room to layup while players trying to cut the corner towards the green will contend with a steep falloff to the left that leaves to a thicket of trees. This is the hole that slapped me in the face and made me realize I was going to need to be dialed in all round long. 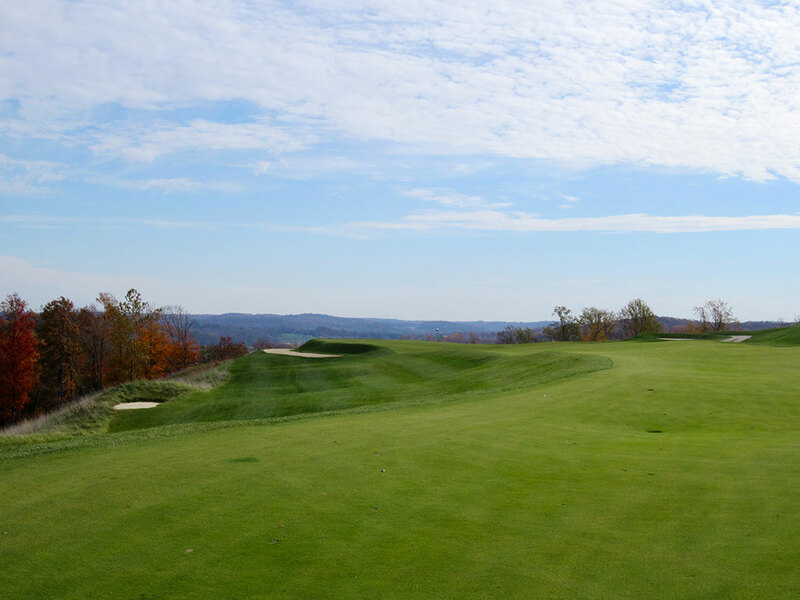 Birdie Time: 5th Hole – 391/350 Yard Par 4 – This short uphill par four is a rare reprieve at Pete Dye’s challenging layout and an opportunity not to be passed up. The driving zone is less penal than other holes on the course and allows you to either wail away on your driver or hit 3 wood and still leave yourself a wedge into the green. The green angles from front left to back right with a collection bunkers back with the putting surface and collecting any shots that come up short. Overall, this is the easiest hole of the day. If you don't score well here, Pete doesn't let up until the 19th. 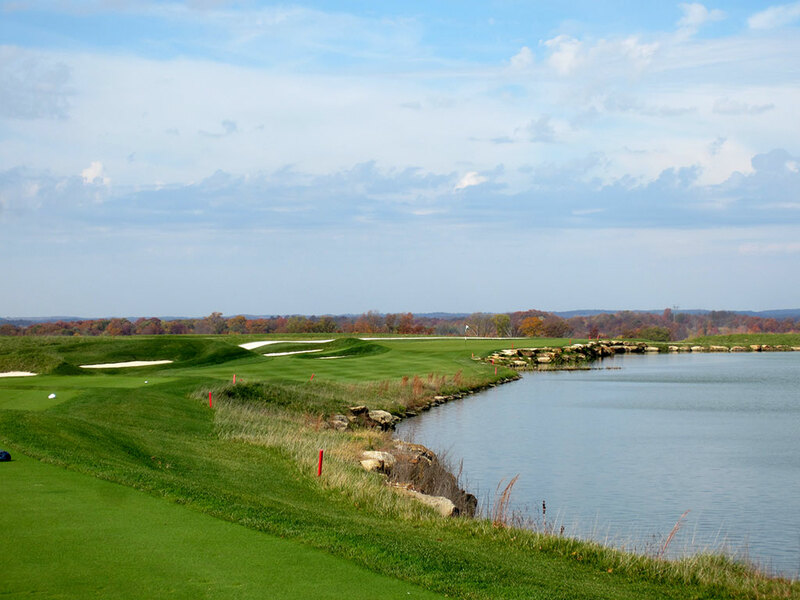 Bogey Beware: 16th Hole – 301/220 Yard Par 3 – 220 yards for a par three is long, especially when water runs from the tee all the way up the right side of the green. Tee it up at the 301 yard tips and this hole becomes flat out crazy! Four bunkers are found up the left side of the hole, two of which are greenside. The green is slightly raised in a plateau manner and adds one element to factor bogey into the mix.